October is Renaissance month in Florence, Alabama, and the highlight of the month is the Alabama Renaissance Faire, Saturday-Sunday, Oct. 25-26, in downtown Florence’s Wilson Park — a can’t-miss family-friendly adventure. 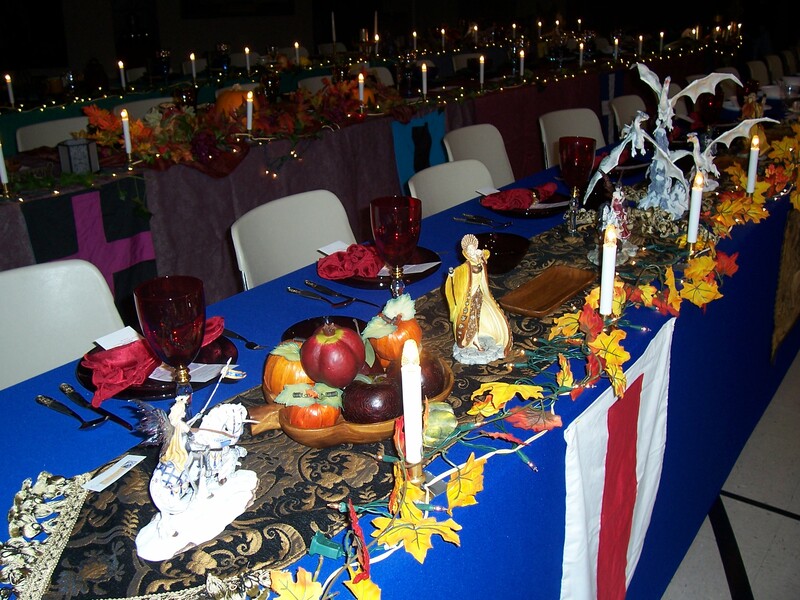 A prelude to the faire is the Renaissance Feast, held the weekend before. 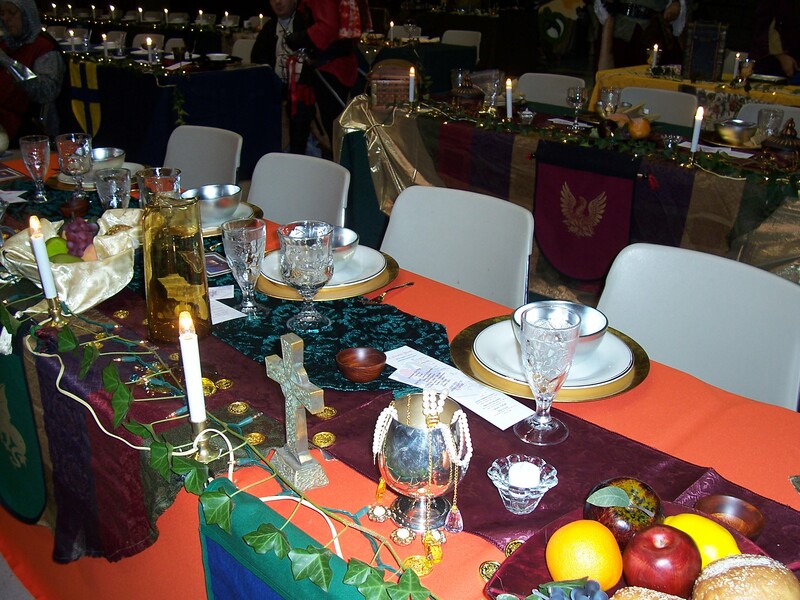 It’s a chance to dress up and pretend it’s 500 years ago, from eating authentic feast-type food to bowing before royalty as they enter the banquet hall. 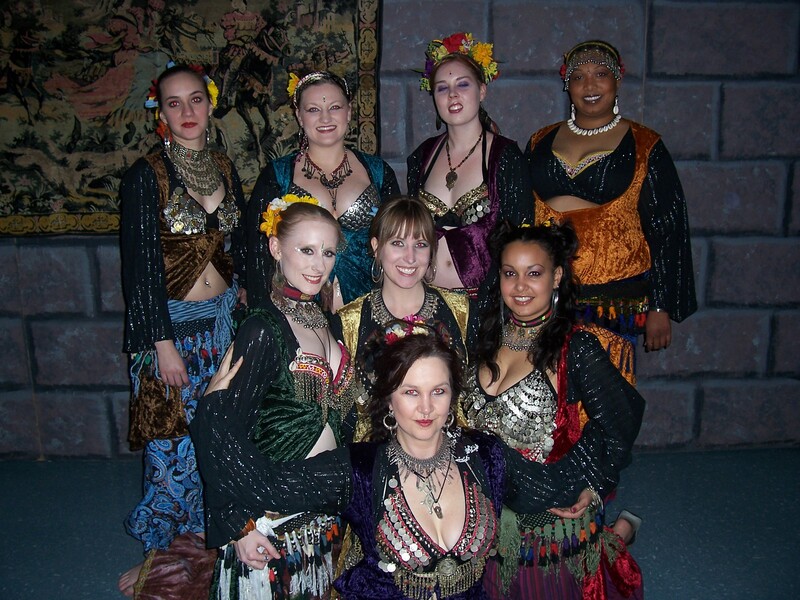 The best part for me is the entertainment, because for the past couple years my daughter’s bellydance troupe from Nomadic Tapestry Movement and Music Studio, in Huntsville, Alabama, has performed there. And once again this year they did a fantastic job. They always look as if they’re having so much fun dancing and sharing their love of dancing with audiences. I had a great time hanging out with my daughter (she’s the one in the middle of the photo) and the other dancers and musicians at the feast. Check out the studio at www.nomadictapestry.com — there’s a full schedule of classes and other events all year long. The dancers and musicians will perform again this coming weekend at the Renaissance Faire. But that’s not the only reason to come to the faire! It truly is a family event. It’s small and easy to get around, no alcohol is allowed, admission is free and education is a key element. You’ll find exhibits, art, crafts, your favorite festival food (deep-fried Snickers for me), period enterainment plus incredibly costumed characters roaming around. You’ll meet a troll, fairies, wizards, princes and princesses, monks, knights — all sorts of folks. Visit the Web site at http://www.alarenfaire.org/ to learn more and youtube.com (search “Alabama Renaissance Faire”) to see more. This entry was posted in Alabama, family, Florence, food, Uncategorized and tagged Alabama, bellydancing, entertainment, family, festivals, Florence, food, Renaissance Faire, travel by Coffee with Cathy. Bookmark the permalink.